Now that October is here and it’s officially fall, breezy colors and summery decor will start to feel out of place. Make holiday houseguests and potential buyers feel at-home with the comfy, cozy and even cheerful shades of the season. Follow along as we uncover eight trendy colors that will last through the new year. As everyone is lining up for their long-awaited pumpkin spice lattes, the hue also has a well-earned spot in home decor. It’s bold, exudes warmth and resembles the always festive holiday, Halloween. This color works well when painted on one wall, as shown above, or through accessories like rugs, pillows, and throws if you’re color shy. It pairs well with neutral colors and monochromatic palettes as it takes the spotlight in all of its seasonal glory. If you don’t use autumn red in autumn, when will you use it? 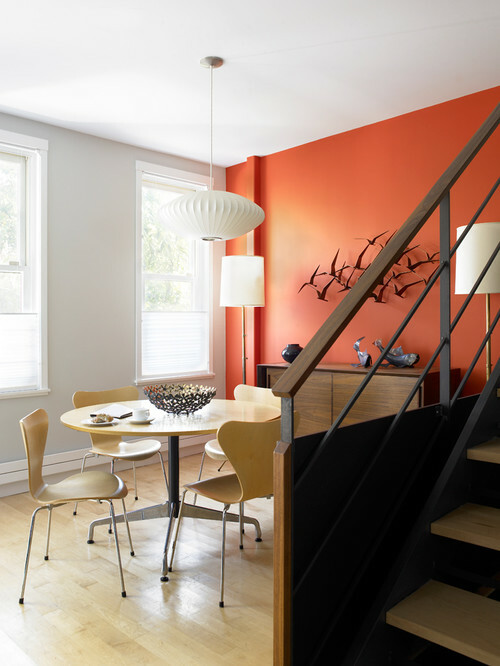 Although it’s a dramatic shade, it can infuse any room with a fiery and fun vibe. 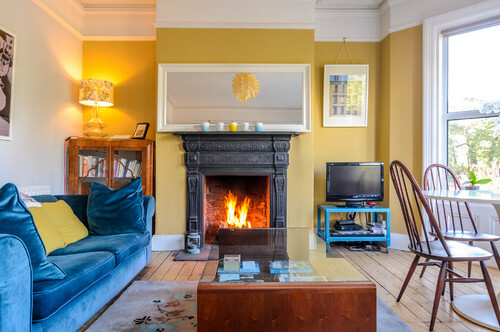 It adds intense energy to contemporary and modern rooms while being a happy addition to any playful, eclectic space. 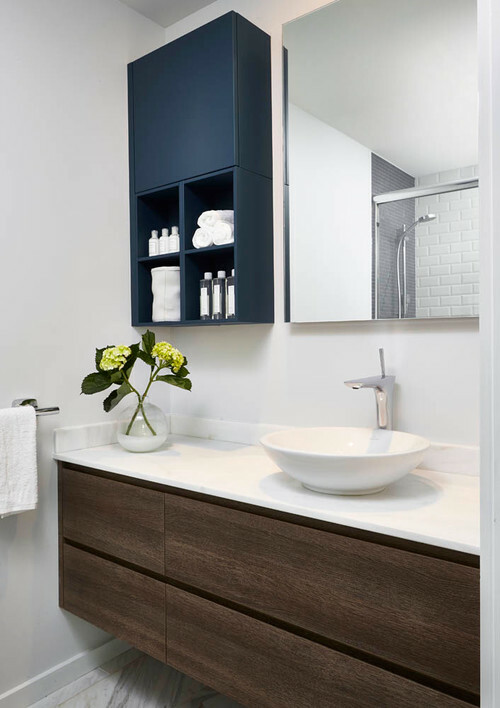 Use it intentionally and sparingly in a room to enhance its overall effect. There’s so much to love about this deep shade of green. Unlike the previous colors that are more playful, emerald draws from its roots in Mother Nature to create a sense of calm in any space. 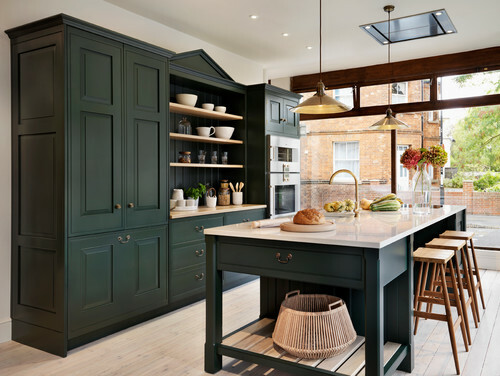 Serving as the focus in this kitchen, emerald green cabinetry marries perfectly with blond wood tones and light countertops. Wouldn’t you like to spend all holiday season here? Even darker and more daring than emerald green, navy is a close cousin to black. If you’re not psyched about displaying the iconic holiday colors in your home, but still want to stay on the dark side of the spectrum, this shade of blue is perfect for you. Honoring its origin from the British Royal Navy, this color embodies ultimate elegance, sophistication and power. Bringing navy into your home this season can have surprisingly health benefits too. It’s been shown to have a calming effect on the human body by slowing heart rate and metabolism. 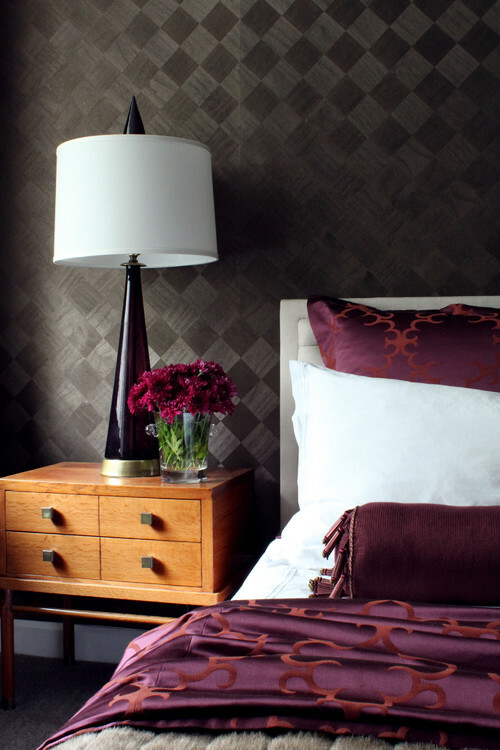 Often an overlooked shade of purple, wine would make a lovely addition to any home this fall. Following suit with the deep tones discussed above, it has the strongest effect when used sparsely, as seen in this Chicago bedroom. Purple has historically been a color of royalty and power. Its wine pigment is no different, conveying richness and seduction in every capacity. Gray is one of the most versatile hues on the spectrum and can easily be used all year-round. Having said that, it’s often hard to choose the right gray for the season. Light gray can be seen as a winter wonderland while charcoal can be hard to distinguish from black. Steel gray is a solid middle ground. 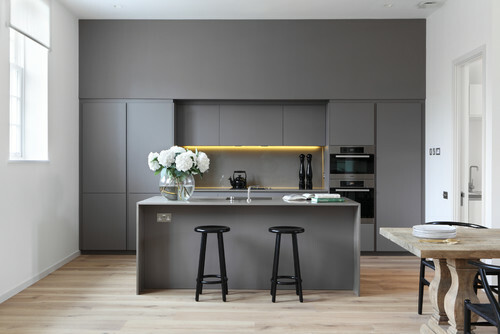 It’s the star of the show in this contemporary London kitchen with its sharp, clean and defined lines. A hue that echoes the falling leaves soon to come, mustard yellow provides warmth and joy to any space. It plays well with other bold colors, like the bright blue sofa and TV stand in this eclectic living room. For year-round summer lovers, this color can also serve as a happy reminder of the sunny days and will brighten up any interior. 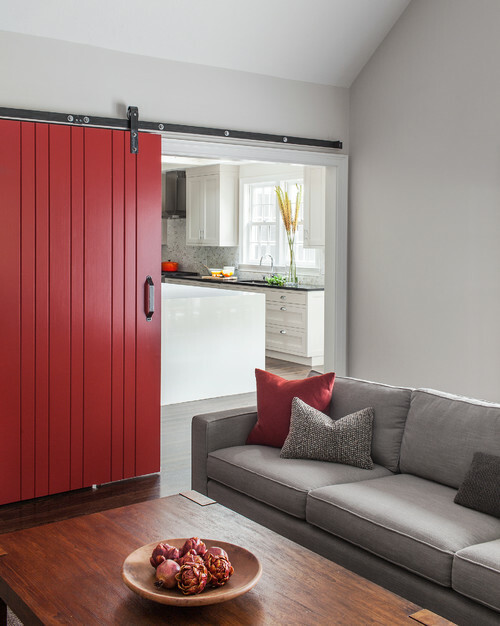 Brown is a classic fall color, but too much of it can make a home feel more like a cave. Instead, use brown as an accent color and brighten it up with a lovely beige tone. Add in some white decor for a gorgeous layered look, like you see in this Denver bedroom. the emerald green and navy blue colors are gorgeous! i especially love that navy blue and lots of white. a winning combination. Amazing colors! Really like the mustard.